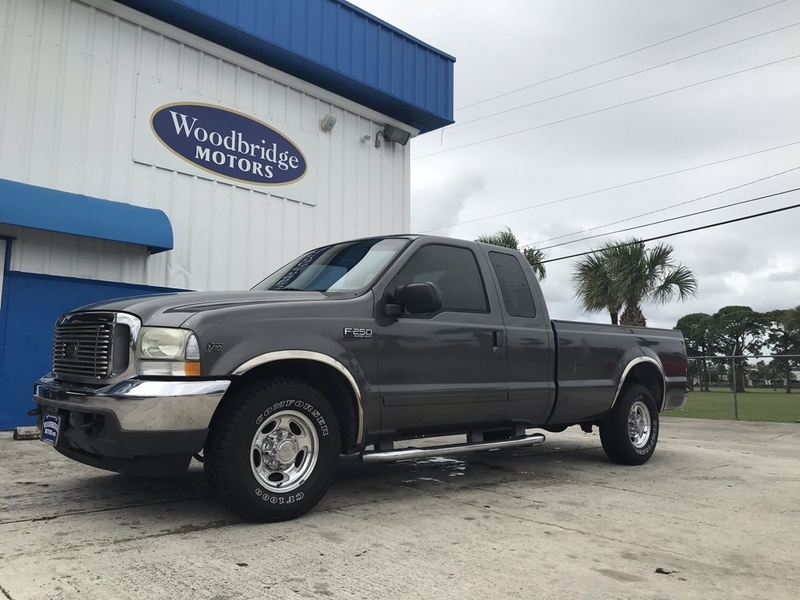 ONE OWNER, *CLEAN CARFAX, *LEATHER*, *DEALER MAINTAINED*, F-250 SuperDuty Lariat, 6.8L V10 EFI, 4-Speed Automatic, RWD, Gray, Medium Flint w/Leather Luxury Captain's Chairs, GVWR: 8,800 lbs Payload Package (#1).Do Not Miss your chance to SAVE HUGE $$ on Quality Used Cars at Woodbridge Motors!! Every vehicle we sell is thoroughly inspected and reconditioned to the highest standard and comes with a 30 day Warranty. See dealer for details. We're dedicated to helping you through every step of the purchasing process. We work with a wide range of auto financing companies that specialize in people with not-so-good credit as well as those with excellent credit. We guarantee approval for EVERYONE. Visit Woodbridge Motors online at woodbridgemotors.com to see more pictures of this vehicle or call us at 561-493-6600 today to schedule your test drive. Availability of vehicles may change at anytime.Please verify with the dealer prior to stopping in. Listed equipment/options could vary, please verify all options prior to purchase. 1 year Bumper to Bumper Warranty, [ See dealer for details].